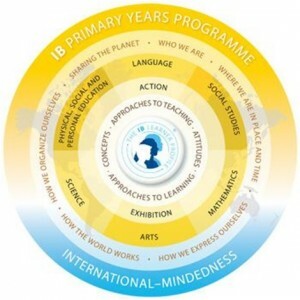 The IB Primary Years Programme (PYP) is designed for learners between the ages of 3 and 12 years. It is an international, transdisciplinary programme designed to foster the development of the whole child, not just in the classroom but also through other means of learning. The PYP focuses on the total growth of the child, encompassing social, physical, emotional and cultural needs in addition to academic welfare. The philosophy of the PYP, as it directly affects the child, is expressed in a series of desired attributes and traits that characterise learners with an international perspective. Taken together, they create the IB Learner Profile.